Signed/Numbered/Embossed, 13x19 Archival Art Print. This Thomas Morris designed print was for a 1974 S.U.P.E.R.B. 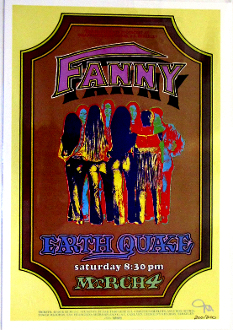 show, at UC Berkeley, featuring Fanny and Earthquake.